In the Vancouver Canucks’ 3-2 loss to the Phoenix Coyotes on Tuesday night, both Henrik and Daniel were among the Canucks skaters to shoot in the shootout. Daniel’s quick snapshot was stopped by Mike Smith, and Henrik lost the handle of the puck on his attempt, sealing the loss. It still perplexes me as to how two of the most creative and offensively-gifted players in the entire league can perform so poorly in the shootout. Perhaps they could spend some of their new $28 million on shootout coaches or lessons. 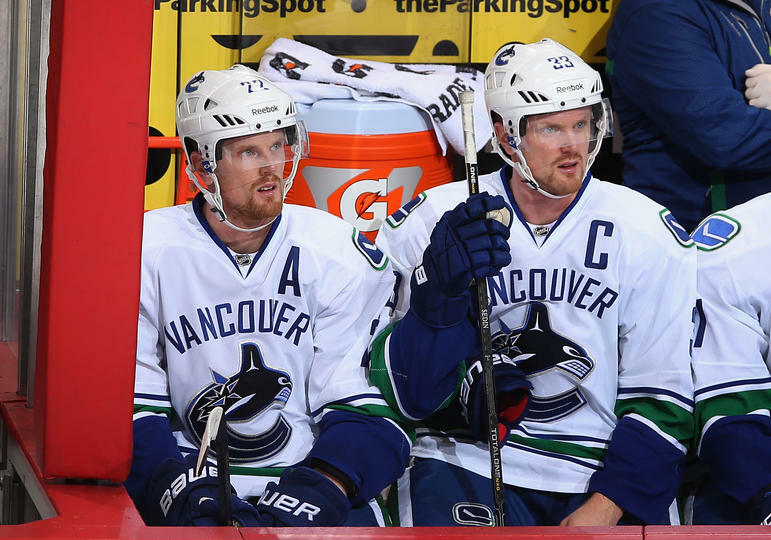 In the meantime, CHB readers offered up their suggestions on how the Sedins could improve their shootout performances in a “fill in the blank” version of the CHB Top 10.